The Flavia Creation 500 is one of our most popular hot drinks vending machines. Looking for vending machines or coffee machines? Look no further! Nexus Drinks supply top quality vending machines and other coffee machines (including bean-to-cup machines) to businesses across the UK. We also provide regular refill services featuring brand names such as Flavia (home to the machine-made versions of some of the UK’s best-loved hot drinks brands). Nexus also supplies plumbed water coolers. We’ve been serving our customers for over 25 years, providing them with high-quality drink machines. We’ve incorporated our industry knowledge into a specific mission statement. Provide simple and easy to use machines. Bring our customers a flexible payment system through cash or cashless Maxcard. To provide ongoing help to our customers. To be an ethical company. We’re conscious of the impact that the coffee industry can have on the environment. It’s why we work with The Rainforest Alliance and Fairtrade to make sure we provide ethically sourced goods. Nexus supplies Fairtrade coffee beans and Rainforest Alliance certified tea. 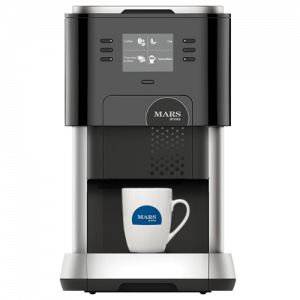 At Nexus, we supply a wide range of vending and coffee machines. We supply to different industries, particularly office, reception and conference facilities. A great vending machine to have for your office is the Klix 450. It comes with eight drink selections and offers an easy to use interface. Not only will you be able to stock the Klix 450 with brands you love, but you’ll also be able to get the drinks quickly. Our coffee machines are of the highest standard. One of the most popular products is the Flavia Creation 500, which comes with twelve different ground coffees. It’s designed for easy use and quick coffee making. What makes the FLAVIA system truly unique is the filter pack design. Every cup comes with its own filter pack that is sealed until you place it in the Creation 500. The drink is brewed in under 30 seconds, providing a flavoursome cup. As well as this, there’s a broad range of top brands that are compatible with our drinks vending machines. Whether you want to enjoy a nice soothing cup of Yorkshire Tea, enjoy the caffeine kick of Taylor’s Rich Roast Italian Blend, or use the magic of Flavia Milk and Froth to make any coffee into cappuccino or a latte in an instant. In addition, we provide a variety of water coolers that can be combined with the coffee machine in your office. Our staff are always on hand to help if you have any questions about our products. To find out more information then call us on 0800 3357 500 or email us at [email protected].